Renovating your kitchen can prove to be an amazing investment that provides years of enjoyment for your family while increasing your home’s value. The popularity of kitchen remodeling in our country has created a large demand for better and more varied products. Georgia homeowners have a plethora of design options for their space, creating a nearly unlimited number of combinations to meet their unique lifestyles. One thing about home renovations is that they can quickly add up in cost, creating a challenge for individuals looking to make the most of their home. Your home’s cabinets, for example, can cost thousands of dollars to replace! One option that many homeowners love is cabinet refinishing and resurfacing, which can give your worn-down cabinets a fresh and vibrant facelift. 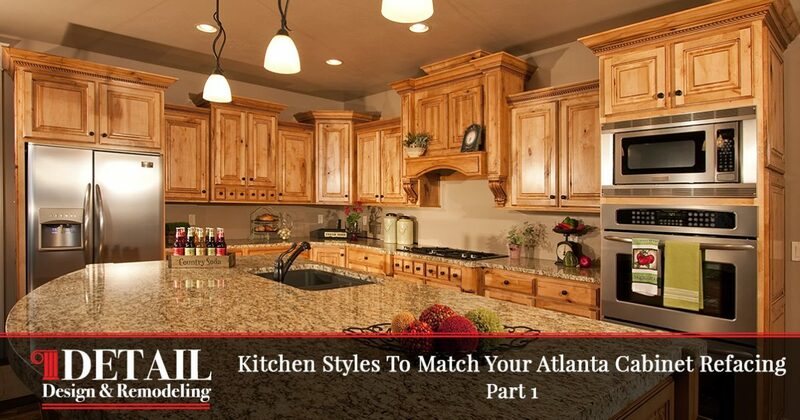 Detail Design & Remodeling is proud to be your expert in cabinet refacing for Atlanta homes, delivering amazing results each and every time. Our team of home remodeling contractors can help you in your renovation process, from design to installation. A kitchen remodel represents the perfect time to update the style and look of your space. Today, we’ll look at a few modern styles that may prove ideal for your home. If you’re interested, reach out to the Detail Design team for a quote on your cabinet services today! Sharp contrasts and sleek designs help to make this option a client favorite. Today’s emphasis on quality appearances puts a primary focus on eliminating clutter with modern kitchen styles. Homeowners have been known to utilize high-caliber flooring options to enrich this modern space. As the foreman, the choice is yours to include built-in holders for your vintage wine collection or open spaces with minimal interruption for impressing guests. Our custom cabinet services can be ideal here, designing and creating products to perfectly match your wishes. Harkening back to the times of old may be the perfect stylistic choice for taking your kitchen renovations to the next level. The focus on quality and craftsmanship are evident in this style, where quality is always driving force. Homeowners can benefit from rich material choices, including lumber options like mahogany for a truly classic look. The devil is in the detail here, so you’ll need to pay close attention to your old world approach because just one misstep can turn your new kitchen from an old-school wonder to an overpriced project. Our home remodeling contractors can be very handy here, delivering custom cabinet solutions to match your exact specifications. One fancy approach for making a statement with your new kitchen is to blend the best elements of both modern and traditional styles. Homeowners have had great success by creating bold contrasts, including elements such as lightly colored marble countertops and dark hardwood floors or tiles. Our wood veneers are ideal for cabinet resurfacing because they can deliver a classy style to match one of the contrasting elements in your kitchen. Oftentimes, homeowners will distribute the new and old features in different ways, such as old-school colors and tiles with modern cooking equipment for entertaining guests. Making your kitchen a source of comfort and charm can be a challenge, which is why our kitchen remodelers are experienced in helping homeowners to achieve that cottage charm. When people think of cottages, they imagine cozy spaces with bright colors and sunny backdrops. The options are almost limitless for cottage stylings, as there is no wrong approach. Clients have been known to seek out affordable flooring options, including items such as salvaged hardwood or classically styled vinyl. Cabinet refacing can be done to match your theme, whether you are looking for quality wood veneers or painted cabinets. Finding the style to match your dream kitchen can be a challenge, which is why our home remodelers are here to help every step of the way. 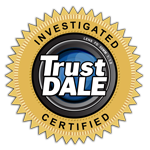 While we specialize in cabinet refacing in Atlanta and Dunwoody, our team of experts can help you improve every facet of your home. Next time, we’ll continue with this topic by highlighting a few kitchen styles that are more geographically centered in nature. If your kitchen cabinets are looking worn down or just plain boring, be sure to reach out to our team. Detail Design & Remodeling is proud to be your source for quality cabinet refinishing services in Georgia. Contact us today to see what we can do for you!